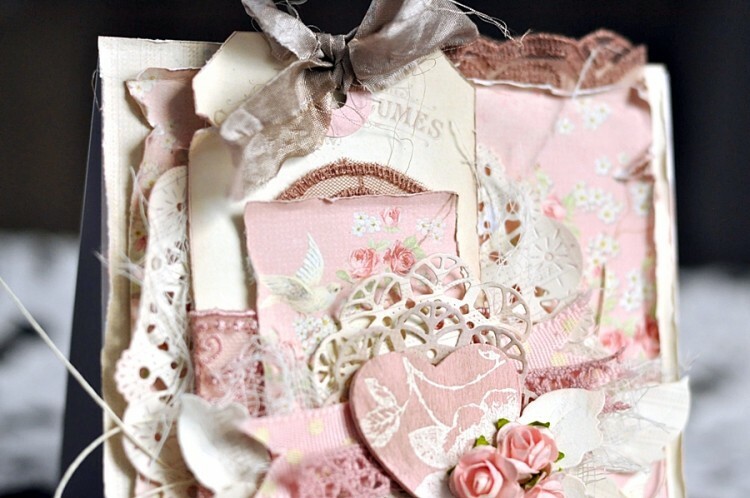 Here is a Valentine’s card using the romantic Paris Flea Market collection. 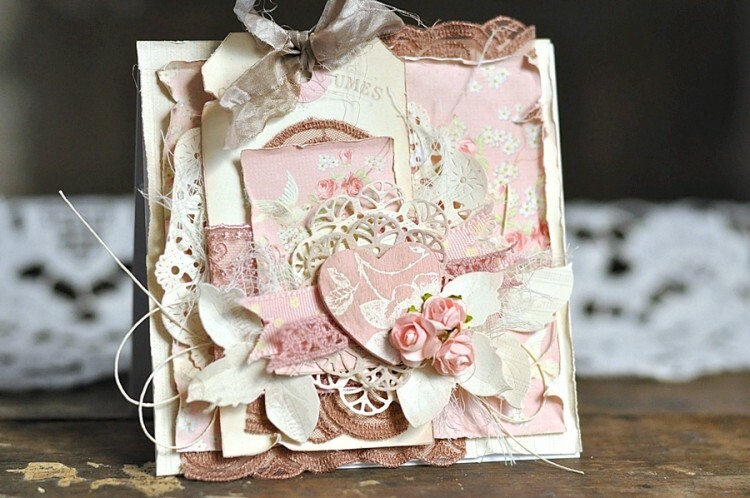 Dear, dear Ewa…this card is so gorgeous! Love the colors, love the die cuts, love the laces. It is just so gorgeous!